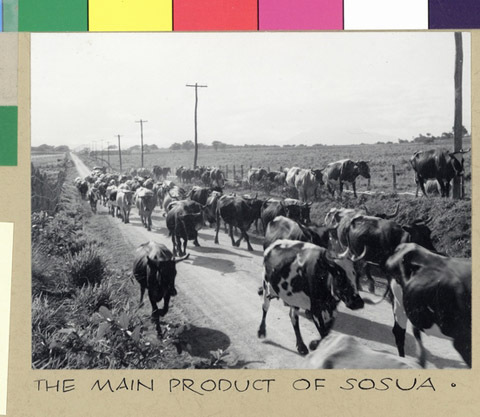 JDC - Archives : Herd of cows moving through the countryside in Sosua. Search > Search Results > Herd of cows moving through the countryside in Sosua. Title Herd of cows moving through the countryside in Sosua. Description A herd of cows passing through the countryside in the refugee settlement of Sosua. Many settlers are trained in dairy farming, and the produce is then sold in the Dominican Republic.